Hi everyone! Laurie here from Stamping Up North. 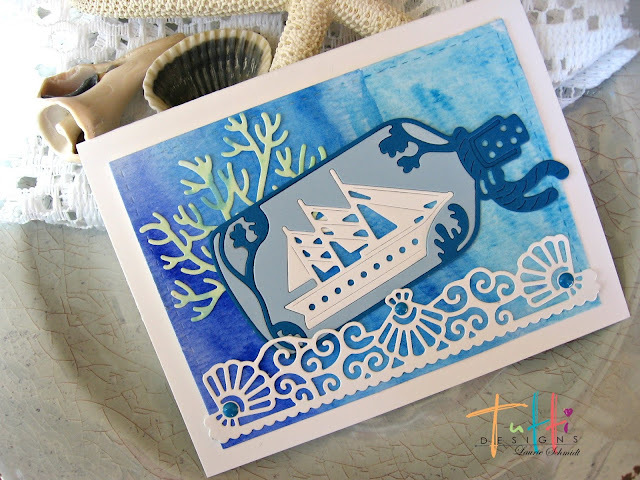 So many possibilities for this ship in a bottle! For my card, I used it just "as is" and did some inlaying onto a watercolor background done in blues. I added just one side of the sea shell frame at the bottom, and also some coral. I also added a few enamel dots for embellishments. 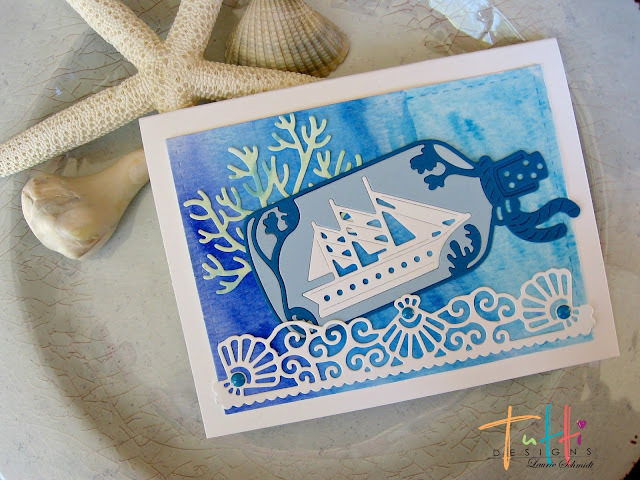 I just love these fabulous sea scenes you ladies are coming up with using this latest die release! 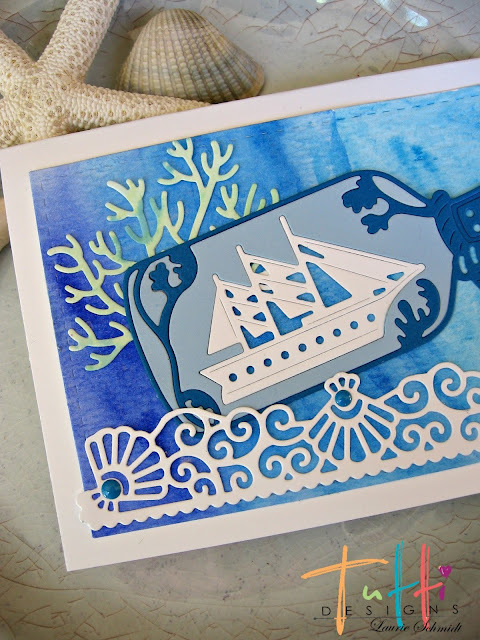 Your background is AWESOME and I LOVE how you've colored your ship in a bottle! Wonderful inspiration ... thanks Laurie! Beautiful ship in a bottle scene! All of the blue tones look fabulous!